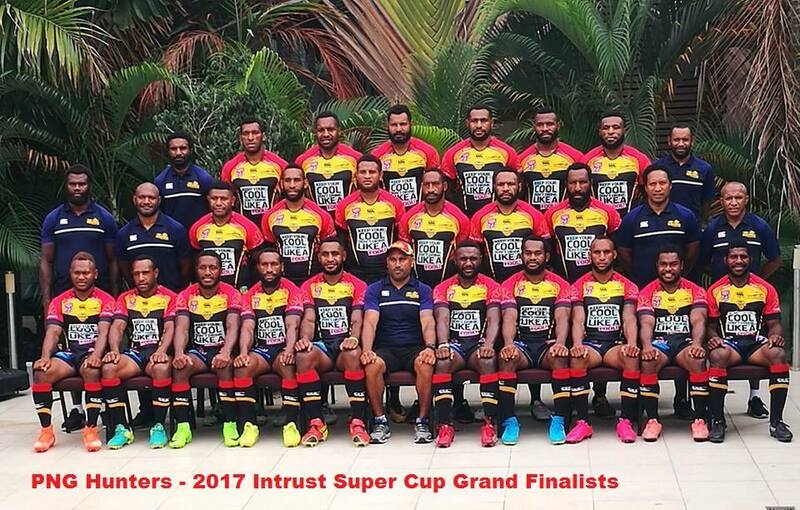 AFTER creating history by bringing the Intrust Super Cup home to Papua New Guinea for the first time, the mission for the SP Hunters is not yet over. The final challenge for Michael Marum’s men will see them represent Queensland against the winners of the New South Wales Cup, Penrith Panthers, on NRL grand final day on Sunday. Marum has named an unchanged line-up for the interstate championship fixture at ANZ Stadium in Sydney. “We have named the same 18 players from last week but there is room for changes depending on injuries,” Marum said. “We will finalise everyone on the latest updates of the team when we start training tomorrow (Wednesday),” Marum said yesterday from Kokopo after joining the Oil Search’s Rugby League World Cup trophy tour. Halfback Watson Boas, who was stretchered from the field in the 75th minute of the Q-Cup final after pulling off a try-saving tackle, is believed to be recovering from concussion and is expected to play this weekend. Despite being named in the starting line-up for the NRL grand final curtain raiser at ANZ Stadium in Sydney, confirmation on the availability of the 23-year-old will be made today. Possible replacements include Wartovo Puara Jr, William Mone or Gahuna Silas on the fringes for a starting role in the halves. Hunters: 1. Stargroth Amean 2. Wawa Paul 3. Bland Abavu 4. Adex Wera 5. Butler Morris 6. Ase Boas (C) 7. Watson Boas 8. Wellington Albert 9. Wartovo Puara 10. Stanton Albert 11. David Loko 12. Nixon Putt 13. Moses Meninga; Reserves: 14.Rhadley Brawa 15. Willie Minoga 16. Enoch Maki 17. Brandy Peter 18. Esau Siune..